MotionCraft is a subsidiary company to the Pro Gym Co established in 1991. All MotionCraft products have been designed by a team of dedicated engineers and product designers. Not only are the products visually appealing and unique, MotionCraft also designs what goes inside. Eddy Current Brakes, Electro Magnetic Braking Systems, as well as motors and controllers for all products. Worldwide MotionCraft has over 100 patents protecting their exclusive designs. MotionCraft brings to the fitness industry a level of design skill and technical expertise that earns them the admiration of our customers and the envy of our competitors. Rowing is an excellent exercise to attain maximum physical fitness. Much like rowing a boat on the water, a stationary rowing machine can help to build and tone muscles, strengthen cardiovascular function and increase stamina. Rowing machines are particularly effective for older fitness enthusiasts because there they place no strain on the back and joints. 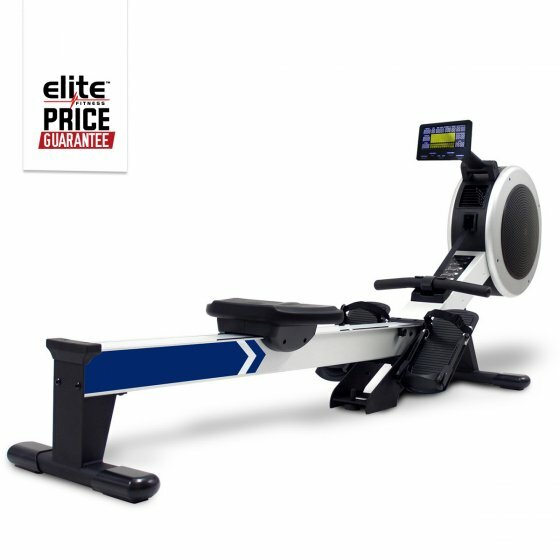 The MotionCraft R200APM Rower is rated full-commercial for the serious rowers who want to use the best. The R200APM Rower is great for the home and an even better addition to any gymnasium or personal training studio. The R200APM incorporates programmable magnetic resistance with the added inertia of a fan and weighted flywheel to produce a realistic rowing feeling. Because the R200 rower uses a belt instead of a chain it is far quieter and needs less maintenance than most commercial grade rowers that rely on a chain drive. The rower is made from the heaviest premium grade materials and a stronger frame. The R200 blows the competition out of the water with its advanced console, and a wide range of programmes, and super smooth and quiet glide system, you will be amazed at this highly evolved product - the R200 is simply a joy to use.